Everybody looking to move home should first talk to local estate agents who will have excellent local knowledge and strong relationships with local sellers. Because we’re the leading agent more sellers choose us, meaning a greater choice for buyers. Register with us and we will match you with your ideal home and tell you about new properties first, before they are mass marketed. They say that moving house is one of the most stressful things to do in your life. Cobb Amos believes it doesn’t need to be and are committed to ensuring that when you begin your search for your new home, everything runs as smoothly as possible. As the leading independent estate agent in Herefordshire, Shropshire, Mid Wales and the bordering counties, we are the perfect property search partner. Whether you are looking for your first step on the property ladder, upsizing, downsizing or looking for investment opportunities, Cobb Amos can aid you with our extensive knowledge of the local market and property for sale in the area. The first step for you, would be to register with us so you can be the first to hear about new properties as they come onto the market and before they hit the property portals. We take every enquiry seriously and aim to help each of our clients into their dream home. We will ask quite a few questions so that we can refine what properties we send to you. As we have a wide ranging experience with all kinds of sellers and buyers, Cobb Amos are well placed to work with you to both put your house up for sale, and find the perfect house for you to buy. The main attraction to buying at Auction is that you avoid the conventional drawn out process of house buying. At Auctions, it’s condensed into a matter of weeks rather than months and when the hammer falls the contract is formed. If you are considering this option here are a few pointers you may find useful. Read available documentation and legal contracts prior to the Auction. Always get legal advice from a solicitor. Make financial arrangements to ensure you have a 10% deposit on the Auction day, (when contracts are signed) and access to the remaining 90% usually within 28 days, or earlier by agreement upon completion. If you are successful on the night of the Auction you will be required to pay the 10% deposit on the fall of the hammer. This may be paid by either bankers draft or cheque. To conform with Money Laundering Regulations you must ensure you have 2 forms of identification, one being photographic and one confirming your address. The following are acceptable – UK Drivers Licence, Passport and Utility Bills, Bank or Mortgage Statement. (Please note that only originals are acceptable). Buyers should arrange to bring either a bankers draft / cheque or debit card to pay the deposit. Plan ahead if you need mortgage assistance. Be aware that buying at Auction is a binding commitment and carries the same legal implications as a signed contract by private treaty. Bring the name, address and telephone number of the Solicitor who will be acting for you. Don’t assume that all the properties included in the catalogue will be offered on the day of the Auction. Some may be withdrawn or sold prior to the Auction. If you are interested in a property you should register your interest in writing to the Auctioneer asking to be contacted if a prior sale is likely. Always check beforehand. Interested buyers should satisfy themselves as to the accuracy of information given in the catalogue as these are only a guide and do not form part of the contract. All measurements are approximate. Be aware that the property becomes the buyer’s insurable risk as soon as the hammer falls. Guide prices represent the estimated price a lot may achieve. The actual sale price may be higher or lower dependent on the demand on the night of the sale. The Guide price may be amended prior to Auction. The reserve price is fixed by the vendor on the day of the sale. This is confidential between the vendor and Auctioneer. If the reserve price is not met on the day, the Auctioneer may choose to withdraw the lot and not sell it. However, they are still acting as agents for the seller and bidders can put in offers for the lot after the Auction, which may or may not be accepted by the seller. Make sure you leave your details with the Auctioneer if you are interested. The Auctioneer may refuse to accept a bid. They do not have to explain why. If there is a dispute over bidding we are entitled to resolve it and our decision is final. Pre Auction offers must always be submitted to the Auctioneers in writing. Don’t be afraid to ask members of our Auction team for advice and support. Please ensure you arrive thirty minutes prior to the advertised start time. Please contact us for our guide to buying & selling at auction. We can undertake bidding on behalf of buyers unable to attend an Auction held by another Company. Please note that if you are considering purchasing at Auction, you should always consult with Auction professionals and solicitors. If you choose to buy a Lot without taking advice and precautions, you do so at your own risk. The above is intended as a guide only. More detailed information and general Conditions of sale are available on the night. It is your responsibility to refer to these as necessary. Dream of buying a home without using the bank of mum and dad? The Government’s Help to Buy scheme now makes it possible to get a mortgage for a new or existing home with just a 5% deposit. Dream of owning a bigger home but don’t have a big deposit? Help to Buy is here to help. The Government’s new Help to Buy scheme now makes it possible to buy a new or existing home with just a 5% deposit. And it’s not just for first time buyers. Help to Buy can help you get onto the property ladder, or move up it. 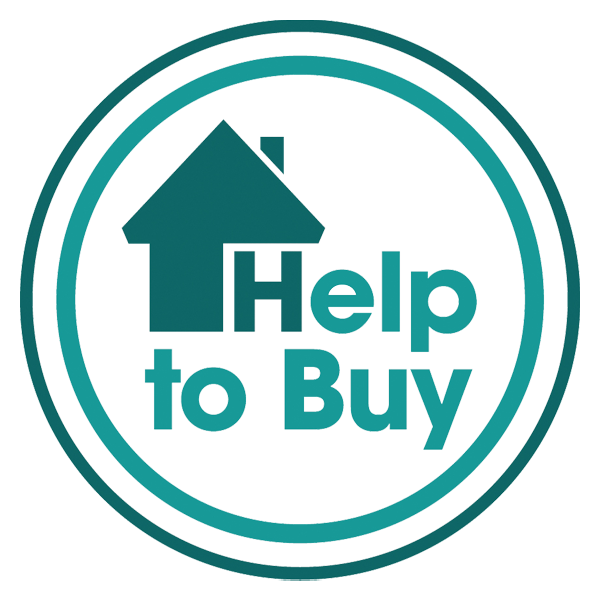 Help To Buy offers Equity loans for brand new homes or Mortgage Guarantees for new build or existing homes plus other housing options under Government Schemes.